A total of 28 superbly situated apartments in the newly completed Manhattan Corner, a new mixed-use development in the centre of Century City and close to all amenities, are now available to rent. The one, two and three bedroom apartments all with basement parking are situated on the first floor above ground floor offices which have been fully let. 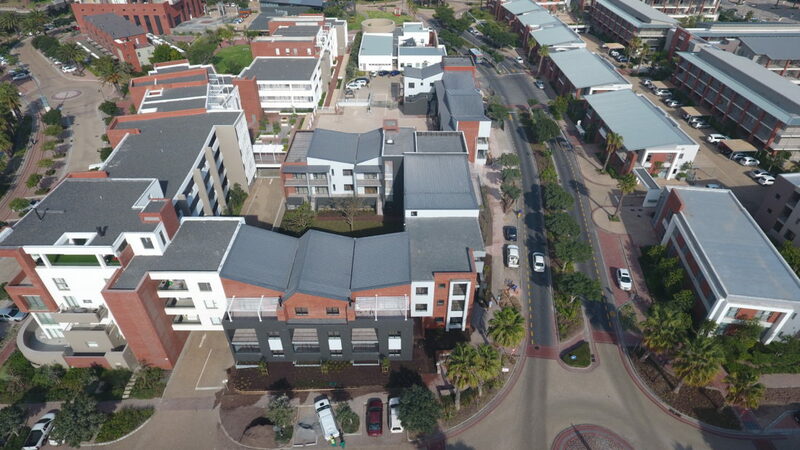 Bordered by Century Way and Esplanade Road and boasting a small internal pocket park, Manhattan Corner was completed at a cost of R60m. A dual plumbing system has been installed throughout the development to ensure only non-potable water is used for toilet flushing. Manhattan Corner was designed by Munnik Visser architects to complement the surrounding buildings while also imbuing its own identity. Both the residential and commercial components have been acquired by an investment company for rental stock. Manhattan Corner completes the entire block which also includes the 63 apartment Manhattan Quarter development, the Manhattan Suites & Conferencing high rise building, new studio offices for Bam Architects, the Endeavour Too creche, Manhattan Park and three popular restaurants, Bootlegger, Brick Lane and Square Café & Takeout. Canal Walk is also in easy walking distance. Residential inquiries should be directed to Property World on 021 555 0105 or the Letting Corporation on 021 801 1888.